Democratic presidential candidate Hillary Clinton held a campaign rally at Sacramento City College in Sacramento, California today. The rally was attended by thousands of supporters who waited in a long line outside the event, but only a few hundred were allowed inside the college’s gymnasium, where the rally was held. Current and former American River College students attended and talked about their support for — and opposition to — Clinton. One former American River College student was at the rally as a supporter of Republican frontrunner Donald Trump. 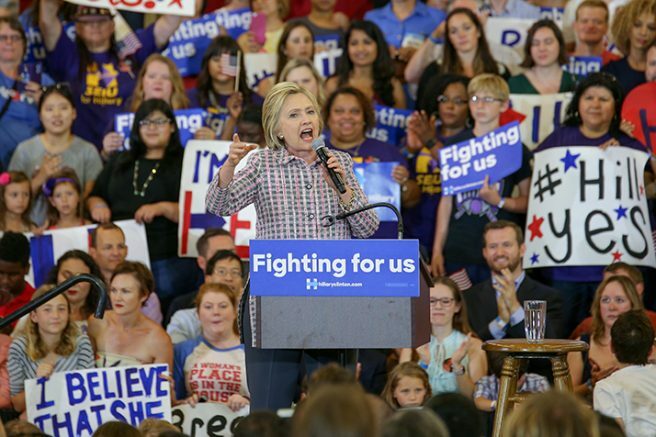 The rally hosted 11 speakers, including Clinton. The speakers included California legislators Kevin McCarty and Richard Pan, California Congress representatives John Garamendi and Doris Matsui, California Governor Jerry Brown’s chief of staff Nancy McFadden and actor-singer Darren Criss, among others. 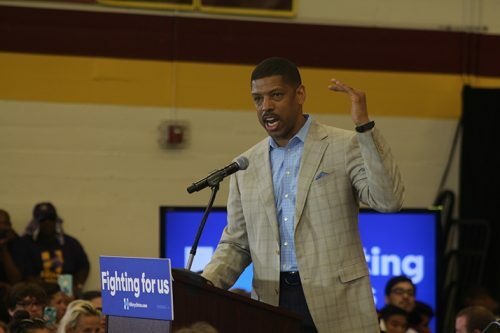 One of the speakers was Sacramento Mayor Kevin Johnson, who has been under scrutiny recently for sexual misconduct allegations. He walked on stage and received applause mixed with booing from the crowd. All the speakers voiced their support for Clinton, her experience and her stances on issues like climate change, healthcare and the minimum wage. Also a popular topic, multiple speakers voiced their support of Clinton’s past, her voting record and specifically, her history working as an advocate for children. Clinton walked on stage with and was introduced by Matsui. 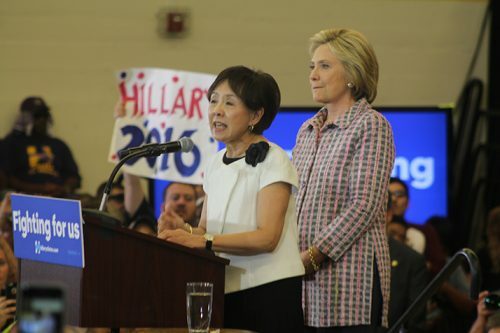 “She will go into the oval office on day one and take charge,” said Matsui. Clinton’s speech discussed the issues that have been popular this election cycle, listed Hillary’s history on issues and gave reasons why Republican presidential frontrunner Donald Trump is unfit for office. 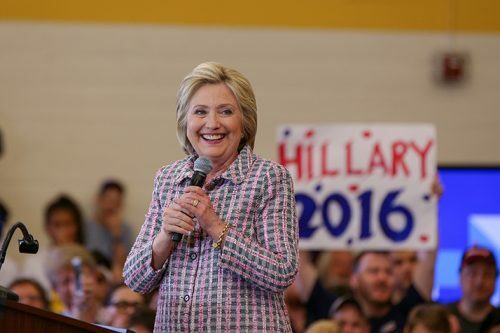 Clinton voiced her support of renewable energy, raising the minimum wage, the Affordable Care Act and the ending of mass incarceration, especially for nonviolent offenses. Clinton said that in her history on the United States Senate, she often reached across the aisle to work with Republicans on legislation. Clinton concluded her speech by encouraging her supporters to get out and vote in the California primary on Tuesday, June 7. 1 Comment on "Clinton holds rally at Sacramento City College"
Pan is a criminal, supported by pHARMa money so he can lie about caring for kids while promoting an agenda that denies kids a public education unless they submit to pHARMa’s vaccination schemes. He is responsible for eroding constitutional freedoms and medical ethics. His support for her causes many of us to not want her in office to advance ever more of the same. DRUGS, GUNS, and OIL industries own these candidates, they are all playing a part in the death industry that is killing millions of people a year worldwide, sacrificed on the alter of money and political corruption, supported by an unprecedented media campaign of propaganda that plays on unjustified fears in order to gain submission and compliance. And the press remains silent.